Thank you for sharing your thoughts and feedback on my last blog post, An Ayurvedic Perspective on Coffee. Many of you shared your struggle with sourcing and sustaining your energy naturally and were interested in finding ways to reduce your coffee consumption. 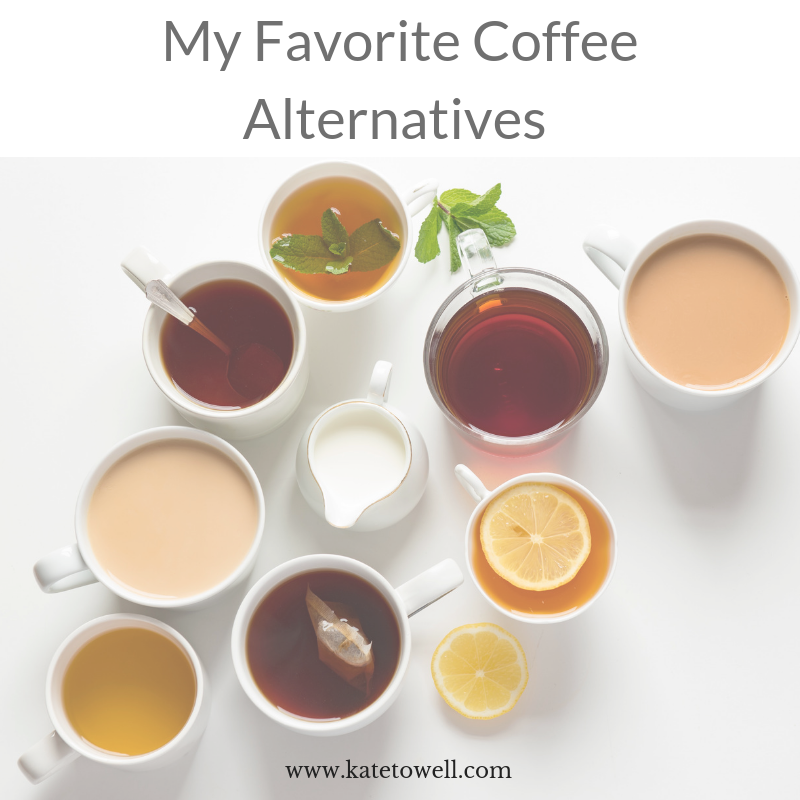 I thought it would be helpful to follow up with my favorite coffee alternatives. In the past, I relied heavily on coffee to get me going in the morning and to pick-me-up in the afternoon. I had no idea how much caffeine I was consuming or that it was a major contributor to my imbalance until I tried to quit. When I ask them, most people are in the same situation. They don’t really know how much coffee they drink or if its a problem. The normal size of a cup of coffee 20 years ago equals about two of our normal cups today. Most places you can’t even order an 8 oz sized portion. You could have two to four caffeinated beverages a day and not realize it. As I shared last week, I still enjoy the ritual of having a small cup coffee in the morning. However, I have a one cup-a-day limit — any more than that it affects my mood, my digestion and I end up with headaches. Over the years, I have experimented with a number of coffee substitutes and am happy to share may current favorites — both caffeinated and caffeine-free. Macha (caffeine) – Macha is my go-to morning coffee alternative. Macha is a finely ground form of green tea made by taking young tea leaves and grinding them into a bright green powder. The powder is then whisked with hot water. I also add steamed hemp milk to mine and make it a Macha latte. Double check the label when you buy matcha to make sure there is no added sugar. It does have a bitter taste so I sweeten mine with a little honey. Blue Lotus Chai – I am obsessed with chai. I have a few favorites but Blue Lotus brand offers high quality chai in both caffeine and caffeine-free varieties. I also appreciate that they are unsweetened. I always add a little extra cardamom to the mix when I prepare it, but that’s just me. Bancha Hojicha (caffeine) – A new favorite of mine, this green tea is steamed and roasted right after it is harvested giving it a rich and toasty flavor. Rasa Koffee – Rasa is a blend of Ayurvedic herbs and spices that you can steep in a french press or brew like coffee. It has a nutty flavor and I like it with a little honey and hemp milk. The downside is that its a little on the expensive side and not something I would drink daily, but I like it. Ayurvedic Roast – Similar to Rasa this is a blend of Ayurvedic herbs that you can brew like coffee. Typically, I brew it with roasted dandelion tea for a warmer, nutty flavor. I like it a little better than Rasa and its more cost effective. The downside is that the herbs in blend are not ones I always need.